Just 20 short years ago people where asking what is an email the same way people today are asking what is a bitcoin. There are various explainer videos and articles ranging from technical to simple explanations. The best bitcoin definition explains bitcoin by explaining it’s opposite, credit cards, banks and money transfers and their associated headaches. There's no existing paradigm with which to compare bitcoin therefore, the easiest way is to explain it indirectly. 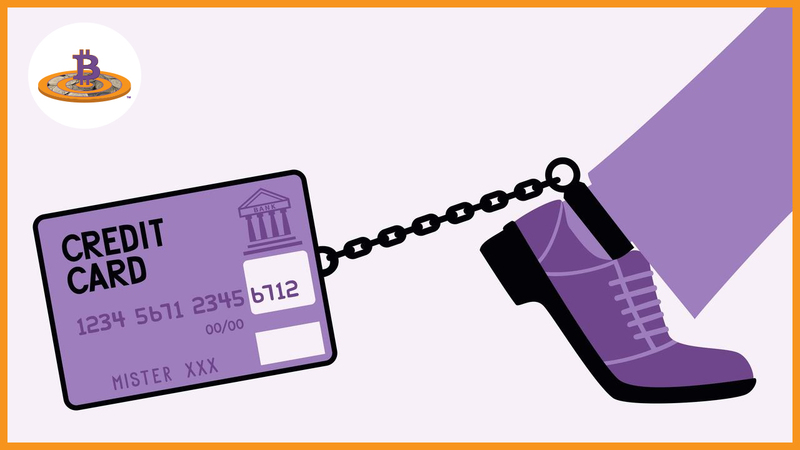 Credit cards force you to hand over ALL your credit card information to a 3rd party so they can PULL money from your account. It's like saying hey vendor, "I trust you very much to take money from my account and store all more information securely for future purchases." This means hundreds of vendors store your credit card information over and over again redundantly. It's just a matter of which of your favorite stores will get hacked and when. Home Depot and Target, companies with unlimited resources, had tens of millions of cards hacked recently. Image if Vendor A gets hacked forcing you to get a new card while spending countless hours once again changing your new credit information with all your other vendors. As soon as you get done, Vendor B gets hacked and you go through the same thing all over again. This is an exercise in futility and a total waste of resources which inspired a chapter in my book, The Ultimate Bitcoin Business Guide, and a blog series called Extreme Credit Card Chaos™. Paying a vendor in bitcoin is simple and chaos free. You send bitcoin to their bitcoin address like a bitcoin account number of sorts. You PUSH your bitcoin from your bitcoin wallet (a collection of bitcoin addresses) to their bitcoin wallet with no fuss. A bitcoin address is like a deposit only account so vendors don't store any personal identifiable information, nothing can get hacked and there's no cost of fraud passed on to you. Credit Card Chaos™ is just one aspect of financial headaches that business owners, entrepreneurs and consumers have to navigate. Two other chapters in my book are aptly named Banking Burnout Bonanza™ and Money Transfer Madness™. When credit card or bank account information gets hacked it takes a lot of work to manage setting up new accounts which translates to an unnecessary non-value added expense. After your headaches subside you can review your business' monthly bank and merchant fees to see if you can decipher the latest charges. Let's not forget everyone's favorite Banking Burnout, having to wait a week to get your money. Isn't the lighting fast less-than-a-second credit card terminal approval amazing? Then why does it take 432,000 times longer to get paid after your customers walk away with their stuff? 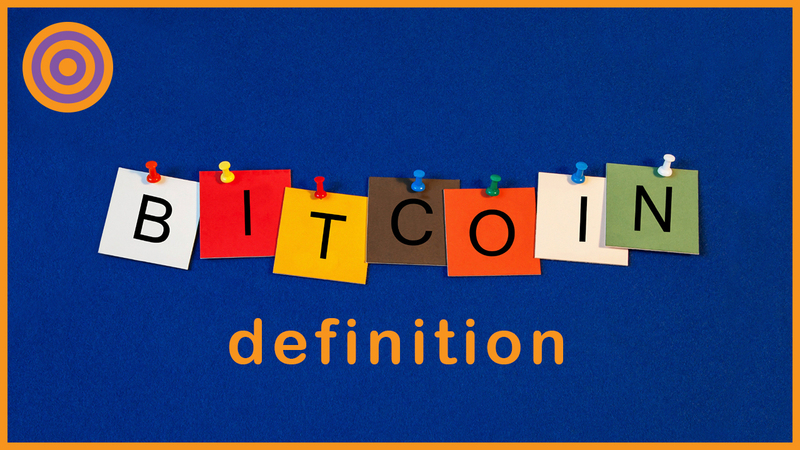 Notice how it takes far fewer words to explain the bitcoin meaning and it's benefits? NOTE: Definition #10 above can't be overemphasized due to the infinite number of banking and credit card headaches. Covering them all is beyond the scope of this blog but it has inspired my Extreme Credit Card Chaos™ Blog Series where I tell entertaining stories. What do you think of when someone says 2008? If you were more than 10 years old at the time then you would say The Great Recession (and a global one at that). Do you trust your financial institutions more or less after 2008? Stories about the Great Depression Generation stuffing cash in mattresses doesn't seem so far fetched after all. Greed has led to manipulation of financial markets for self-serving profit and not for clients. We've all experienced this first hand and wondered how regulators repeatedly failed to keep financials markets in check. Regulation and control is centralized in the hands of a few humans and this is the crux of the problem. Bitcoin is decentralized and self-regulating technology. It's governed by algorithms magically removing the need to trust humans. Bitcoin the technology is not a company and not owned by anyone however, anyone can own bitcoin the currency. It's designed so the software pays for the hardware in a dance without third parties and banks. Financial transactions are now peer to peer between smart phone users. For the first time in history we have programmable money. The possibilities are so vast we'll have to cover this in another blog. Solving banking and credit card headaches requires lots of customer service. Does anyone enjoy being on the phone with a bank? I suspect they'd rather be generating revenue. Customer service is a big expense incurred to compensate for a rusty old model. You're not in control of your money and you have to rely on your bank at all times. Bitcoin is essentially self-serve in nature. You can create an unlimited number of bitcoin addresses and receive bitcoin from anyone in the world in a matter of minutes if not seconds usually with free software. Bitcoin is the gift of 100% responsibility and control. No need to call customer service because you are the customer service. If you like being more careless with your money, then I suggest you stick with the Banking Burnout Bonanza. Learn all about this, how buy bitcoin and how to accept bitcoin in my book, The Ultimate Bitcoin Business Guide.